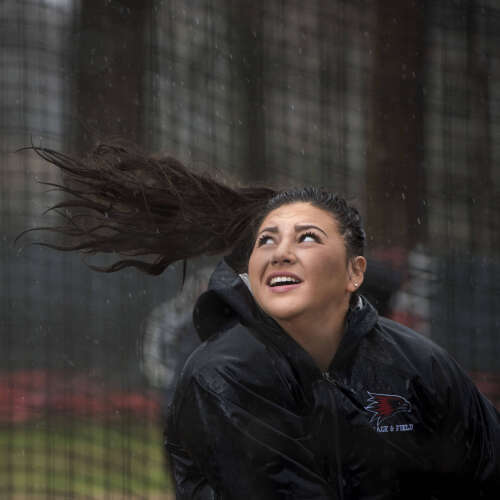 Scenes from the Southeast Missouri State Redhawks' doubleheader against Eastern Illinois University on Saturday, April 20, 2019, at the Southeast Softball Complex in Cape Girardeau. The Redhawks won both games of the doubleheader with a first game score of 11-3, in five innings, and a game two score of 8-5. 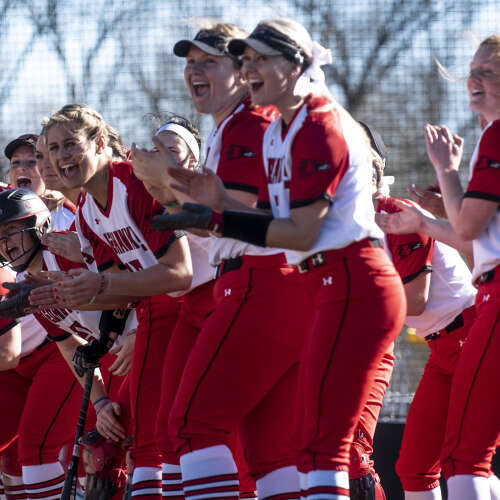 The Southeast Missouri State Redhawks defeated the Saint Louis University Billikens 4-3 on Wednesday, April 17, 2019, at the Southeast Softball Complex in Cape Girardeau. Three Rivers had to battle a little bit of adversity Thursday against Jefferson College. Wind speeds were around 20 mph for most of the day, making it much harder than normal to judge fly balls and pop-ups. 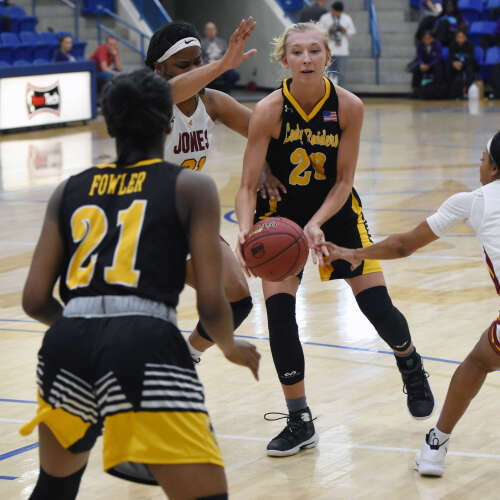 It’s a condition both teams had to feel with, but the Lady Raiders, ranked 20th in the most recent NJCAA poll, were also shifting players around to give others a rest day. 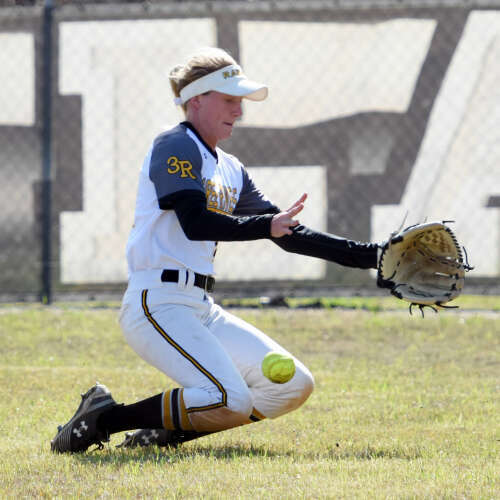 On top of that, Allison Pingel got hit in the face by a foul ball while she was in the on-deck circle during the first inning of game one of a doubleheader. 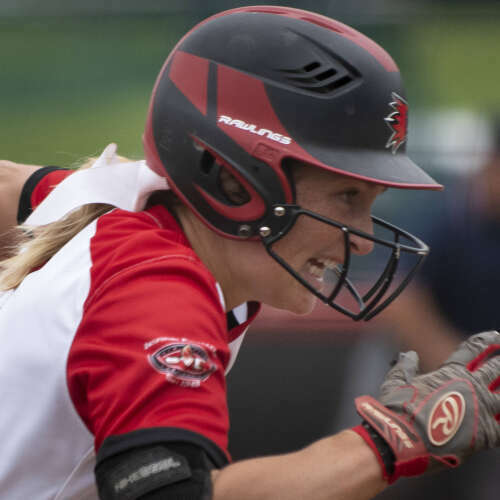 The program’s all-time leading home run hitter finished the first game, going 2 for 3 with an RBI, but was replaced at first base in the fourth inning of game two since she wasn’t 100 percent. Despite those few extra challenges, Three Rivers still came away with a 5-4 win in game one and followed up with a commanding 9-1 win in six innings. 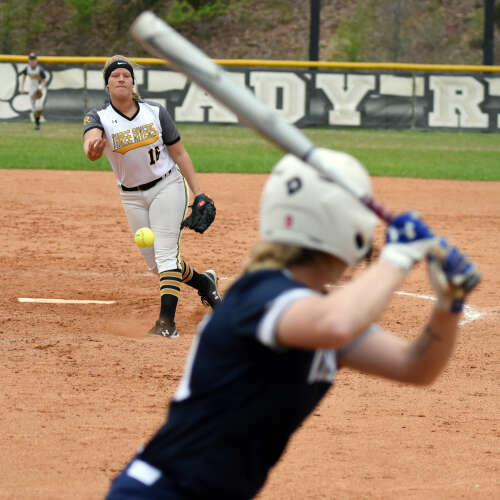 Three Rivers made the most of its sophomore day Saturday, pulling off a 9-3 win and a 4-2 win to finish a series sweep of North Central Missouri. Southeast Missouri State University hosted the Joey Haines Invitational at the Abe Stuber track complex Saturday, March 30, 2019. 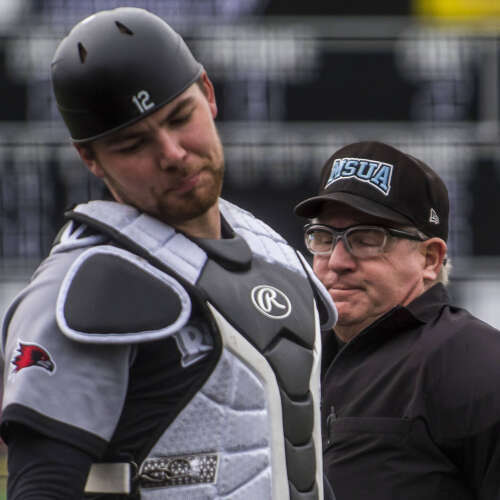 The Southeast Missouri State University Redhawks defeated Austin Peay State University 7-4 on Saturday, March 23, 2019, at Capaha Field in Cape Girardeau. 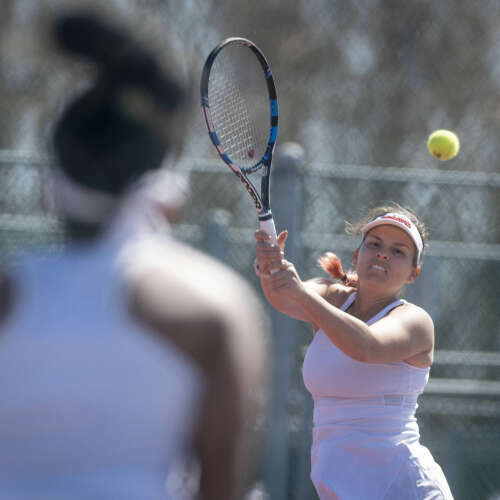 Scenes from the Southeast Missouri State University women's tennis team's matchup against The University of Tennessee at Martin on Friday, March 22, 2019, at the Redhawks Tennis Complex in Cape Girardeau. LUBBOCK, Texas — A few unfortunate bounces and missed shots can end a great run. It doesn’t matter if that run spans a particular game or an entire season. Monday, they ended both for No. 24 Three Rivers. 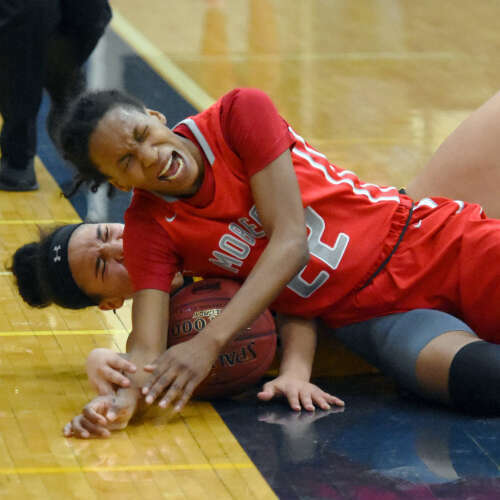 The Lady Raiders' late run fell just short against No. 9 Jones County, losing 88-84 in the first round of the NJCAA Tournament. 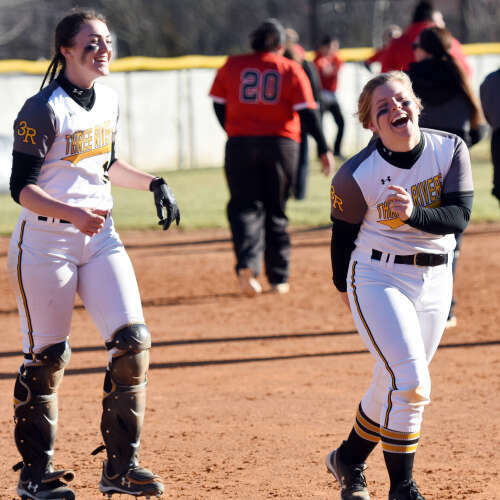 Three Rivers softball had a near-perfect day in its first home doubleheader of the season against Coffeyville. 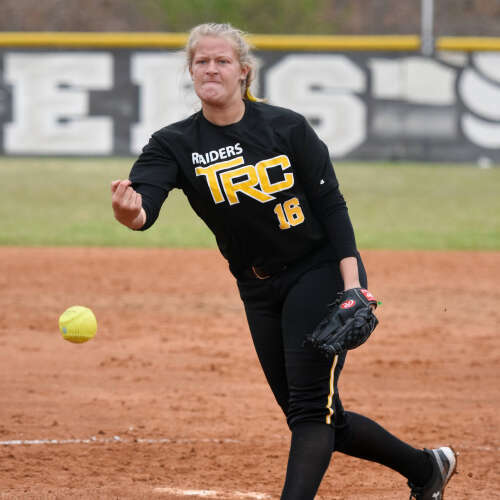 The Lady Raiders got the day started with a 4-0 one-hitter and followed it up with an 11-1, five-inning win in which it was a bad break away from another shutout. 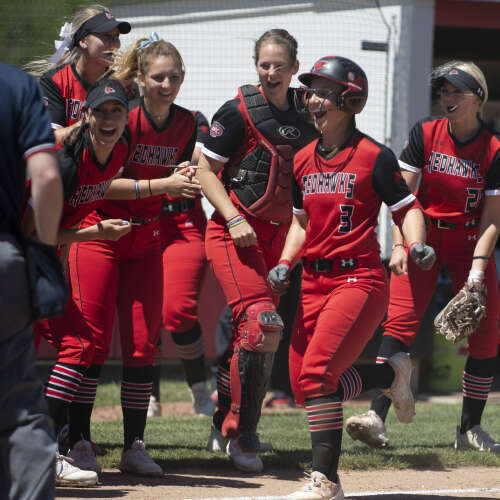 Southeast Missouri State takes on the Missouri State Bears Thursday, March 14, 2019, at Southeast Softball Complex in Cape Girardeau. The Redhawks won 5-2. 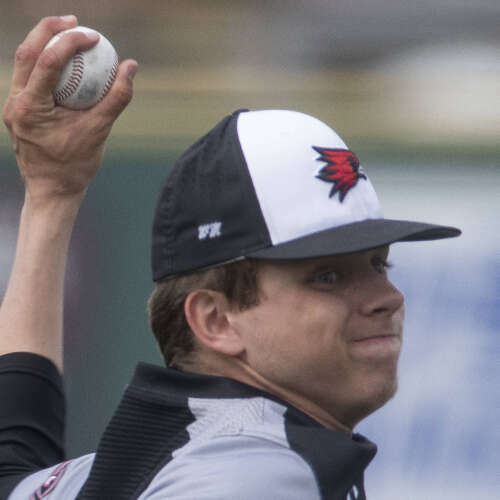 Southeast Missouri State University fell 18-6 to the Illinois State University Redbirds during a game at Capaha Field Tuesday, Mar. 12, 2019. 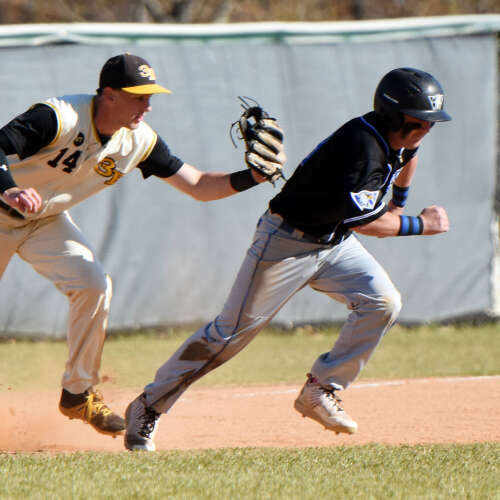 After falling behind 0-2 in its season series with St. Charles, Three Rivers dominated the third game and almost tied the series at two wins apiece in the fourth. In the final game of the doubleheader, it looked as though the Raiders were about to pull away for a win and even the series for a moment. Both teams were locked at one apiece for two innings when Three Rivers (9-7) came alive offensively. Nick Fakouri hit a leadoff single to right field to start the inning. Errors from St. Charles helped the Raiders’ cause on back-to-back plays. Zach Salyers tried to lay down a sacrifice bunt but reached first on an error. Then, a failed pickoff put him on second and Fakouri at third. Drew Evans came up with a huge single to score Fakouri and give the Raiders their first lead of the game. “That was a good two-strike at-bat. (Evans) didn’t try to do too much and just went with the pitch and found the barrel. He hit a nice line drive to left that was really a clutch situation for us there,” Three Rivers coach Stacey Burkey said. Salyers scored on a wild pitch to widen the gap. The errors kept piling up for St. Charles as another wild pitch allowed Evans to safely reach home for the final run of the side. 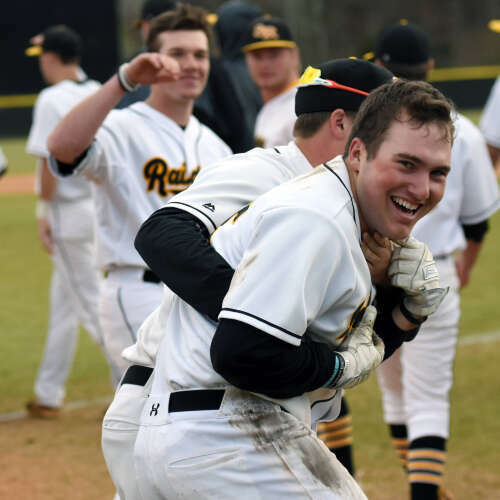 Austin Williams came in for Nash Winters on the mound and threw three straight strikeouts to put the Raiders back on offense with momentum and a chance to grow their lead. Winters pitched five innings, allowing three hits and an earned run to go along with four strikeouts. “Nash Winters gave us a quality start,” Burkey said. “He’s been very consistent with his stuff here in the last month. 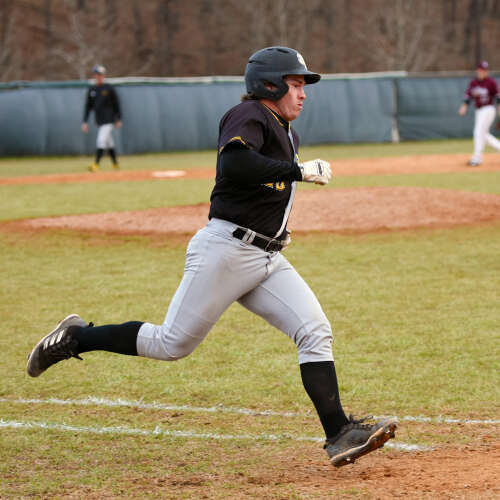 I think he’s really settling in and doing a nice job as a starter.” Three Rivers loaded the bases with two outs, but Evans popped up to the second baseman to end the side. That was all the opportunity St. Charles needed to make a comeback. With the sunlight quickly dissipating and the ball getting harder to see, both coaches agreed the seventh inning would be the last. The vision issues affected just about everyone in the seventh. After a leadoff double, Eric Rothermich smoked a ball to center field. Ty’Reik Thomas chased it down and tried to make the catch at a full sprint, but the ball just missed his glove, allowing a run to score. With two on and two out, Williams looked to have delivered a strike down the middle for the final out of the game, but it was called a ball just inside. A few pitches later, the batter was inches away from going through with a swing, but the umpire determined he held up just enough. “That last inning it was tough calls, you know. It’s dark and we missed a ball that nine times out of 10 is going to be caught, but he couldn’t see it,” Burkey said. “It was a tough break when you’re trying to finish the game in the dark. I don’t know if that’s what affected the umpires as well, or if he just locked up. “We had a couple that we thought we had struck out two different times in that last inning that would’ve nailed down a W for us. 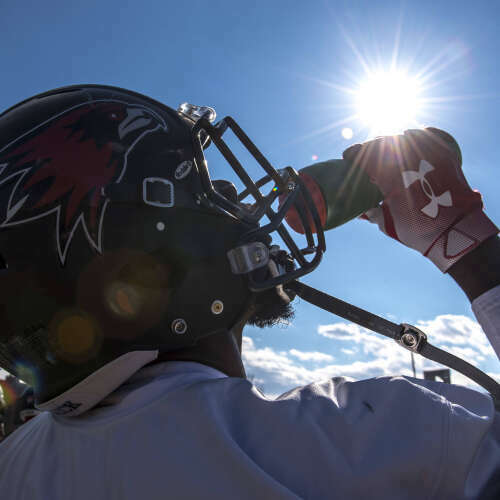 But it’s tough to not pull that one out.” Again, St. Charles made the most of its opportunity. Seth Denoyer drilled a two-RBI single to tie the game at four before Williams got the final strikeout. 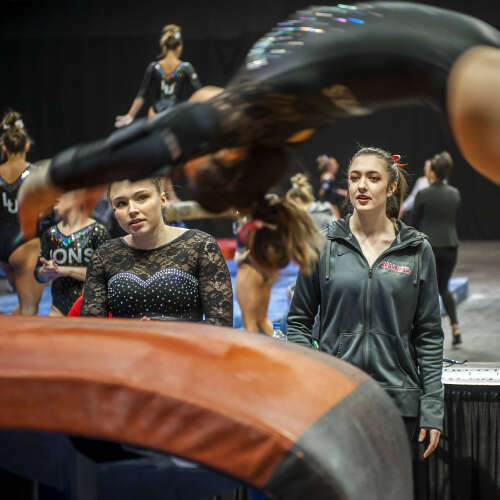 Lindenwood dealt Mizzou an upset in the three-way meet, beating the Tigers and the Southeast Missouri State University Redhawks at the Show Me Center Sunday, Mar. 10, 2019. 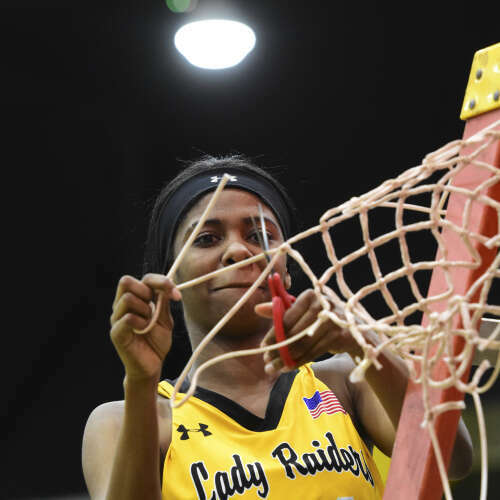 The Lady Raiders are headed to the national tournament for the first time in 15 years. In front of a packed, raucous crowd at the Libla Family Sports Complex, No. 22 Three Rivers pulled away from Iowa Western with tenacious defense and fast-paced play for a 77-59 win in the District K Playoff. The win clinches a berth in the national tournament, which will be held in Lubbock, Texas, from March 18-23. “Words can’t explain it,” Three Rivers coach Jeff Walk said. “I’m so proud of the kids, the tenacity and just the will to win. I felt like in the second quarter, (Iowa Western) was getting tired. I knew it was just a matter of time.” With about a minute and a half left, the reality set in, and Walk started pumping up the crowd and handing out high-fives to the whole bench. Once the clock expired, the Lady Raiders all embraced and the student section stormed the court, elated by the accomplishment. “Honestly, I don’t even know what to think right now,” said Hailee Erickson, who finished with 14 points. “Whenever there was about a minute and 55 seconds on the clock, I almost started getting a little emotional, you know, all the excitement kicking in. This right here is once in a lifetime. I’m excited, and I can’t wait to see what we do down in Texas.” Friday’s win is the 20th in a row for Three Rivers (27-3), which hasn’t lost since Nov. 30. Iowa Western (23-9) had won 15 of its last 16 games, but Three Rivers kept wearing it down throughout the night. Three Rivers bounced back from a disastrous start to the first game of its doubleheader against St. Charles on Thursday. 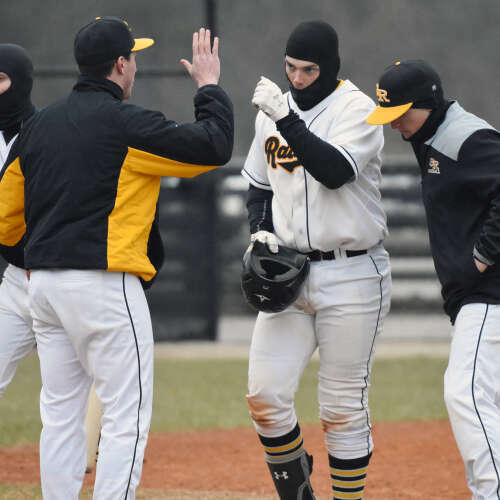 After dropping the first game 13-2 in five innings on a cold, rainy day at Roger Pattillo Field, the Raiders kept up with St. Charles in the second game until in was suspended at the end of the seventh inning. When the game is picked up at St. Charles, Three Rivers will trail 10-9 when play resumes. 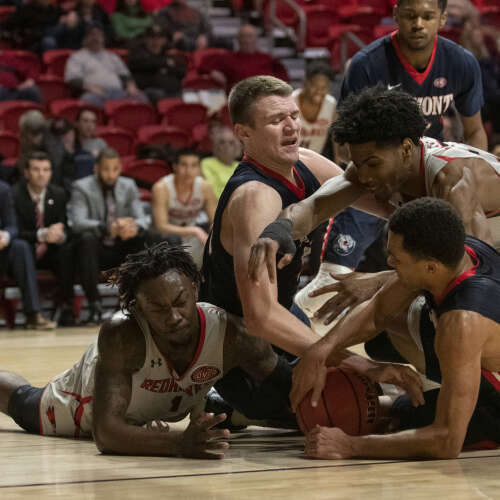 Scenes from the Southeast Missouri State Redhawks' 84-66 loss to the Belmont University Bruins on Saturday, March 2, 2019, at the Show Me Center in Cape Girardeau.